The DMS3+ Plus is the most advanced and feature packed modchip available for the PS2. 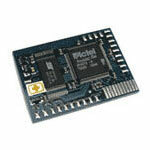 It has all the features of other modchips combined into one chip with bullet proof stability and reliability. If you are looking for the best no-swap modchip for the PS2, then DMS+ Plus would be your best choice. It will allow you to play all PS2 backups/imports and all DVD movie backups/imports in all DVD format! Gound bounce eliminated, for easier installation on V3 and V4. High quality components, DMS3 plus based on Actel FPGA. DVD region free with RCE support. Supports CD silver, CD-R, PSX CD-R and Silver, DVD Rom, DVD silver, DVD-R, DVD+R and DVD+RW and DVD9. Sleep mode avaiable for online play.